This Sunday we headed to the beach on Ishita's request. She had plans of building a sand castle after watching Dora the explorer. 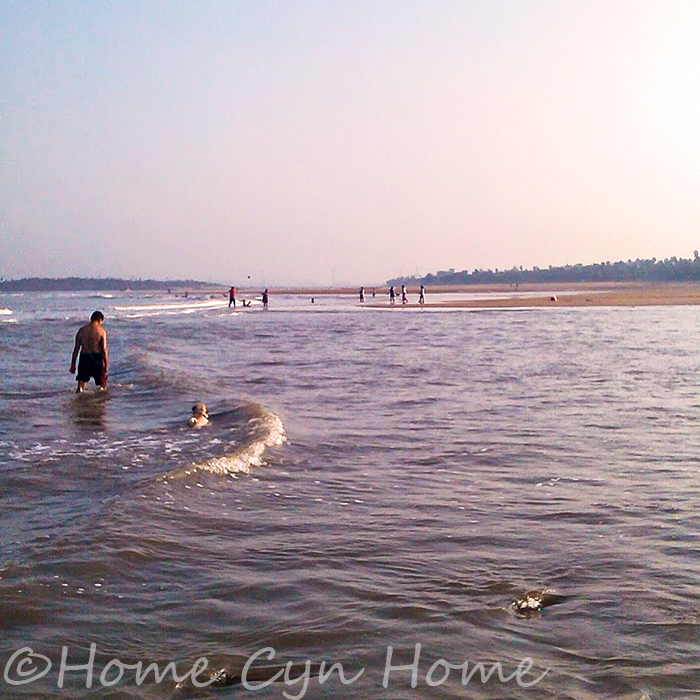 And, to do so we headed to a beach called Aksa beach that is located in the suburbs (Malad West to be exact). 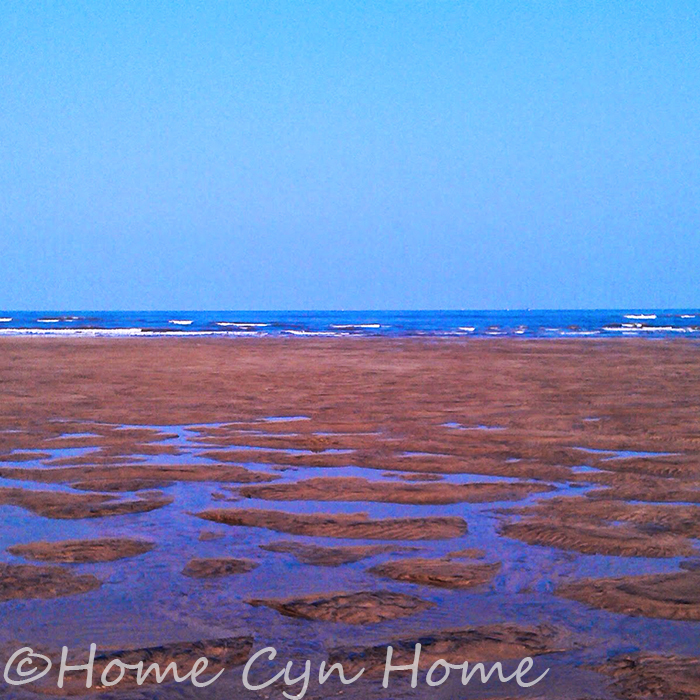 For those who might not know, this is the cleanest beach I have seen in Mumbai, and I blogged about it in the past already. Three and a half years later it is still as clean, and is amazingly deserted, which is a pleasant change from dirty and over crowded Juhu. We headed there in the morning to beat the heat and reached at low tide. The sea retreats over a huge distance at this beach, which means we had to walk about a hundred meter to reach the water. At first Ishita wanted to dig into the sand, but quickly realised the potential walking ahead would have, and ended up getting completely wet instead, bucket and spade near forgotten. DH and I once more marvelled at the lack of crowd...and garbage. We aren't exactly sure why the beach is so quiet, you'd think that people would want to go the extra mile for a clean beach. But, the few persons I mentioned the beach too or had no idea wheee it was, or pulled a face saying "ugh! It is in Malad, way too far". I am sure driving up there in the afternoon might be challenging in Mumbai's traffic jam, but we left home at 6.30am and reached there in no time at all, so mornings are still totally doable. Another factor might be that the beach is not really signalled the way Juhu is and the last part of the drive to reach there takes you to a small village and a past a Indian Navy base. The shore is left relatively untouched on that stretch of shore as a result. With the beach being kept so clean, and the water appearing far less polluted it is no wonder that each time we went there was saw people far more eager to attempt a dip in the sea. The water however can have strong currents, so one should be aware of that. Once Ishita was done with her sand castle plan and had enough of skipping the waves, I led her to the area of the beach that has big rocks at low tide I was hopping to go crab spotting with her (she is fascinated by them). We spotted two that quickly ran away before I could take a picture. Ishita had her eyes on the seashells glued to the rocks which led to me showing her that little sea snails lived in them. By then it was 9am, and it being a Summer day, the sun was already strong. As a result we retreated to the car, changed Ishita's clothes, drove to a mall near our place to have a brunch at one of the coffee place and finally headed back home for a nap. Little did we knew that Monday would be a hotter, more insane day. as of today the heat is still pretty much unbearable leaving me longing for a dip in the water...if only we lived a bit nearer to said beach! That's not too long- definitely worth it! Definitely worth the ride to go there. I wonder why many of the people I told about that place pulled a face and said it was too far, because in Mumbai a 20 minutes traffic less drive is really a short trip. Ishita had a moment in Thailand during which sand was "stupid" her words, not mine. She has no problem with sand as long as it doesn't stick to her wet legs it seems. She made some fuss over that then, but it seems domestic sand sticking to her legs is not a problem, she never had problem with this in India...silly girl! Its a very beautiful beach. Thanks for sharing. Once a quiet respite known by the locals, the popularity of the Aksa beach has risen to the point that you'll find a number of private beach cottages available for rent scattered around the place. 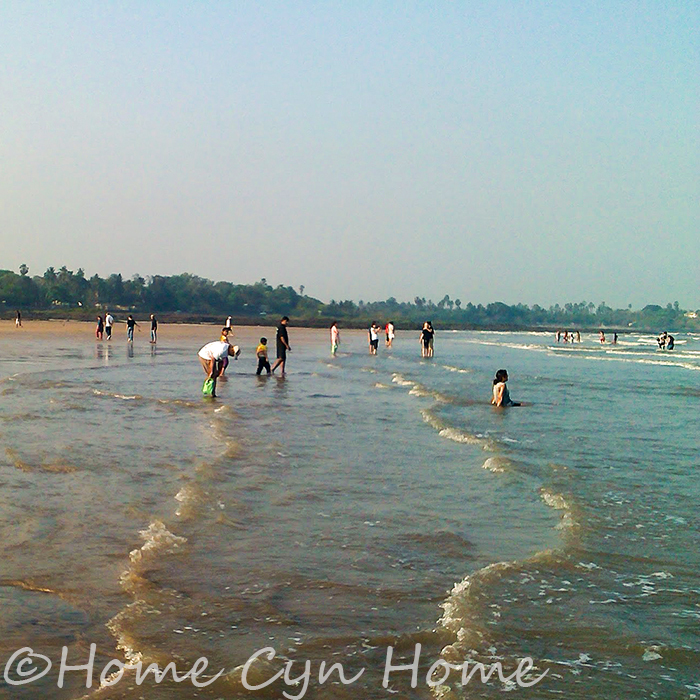 Due to the pristine and quiet nature of this beach, city dwellers frequent this beach during the weekends. 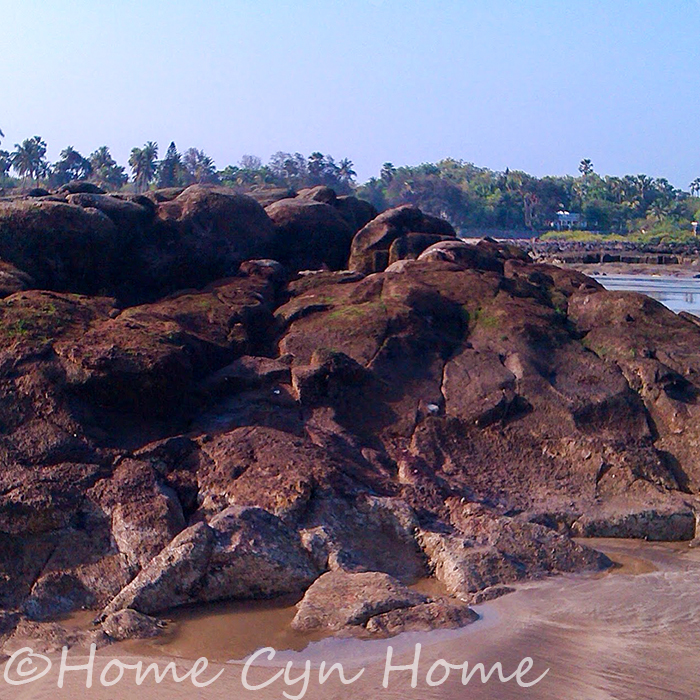 Check out more about about Aksa Beach.